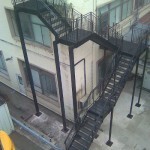 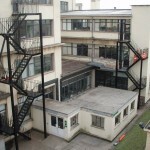 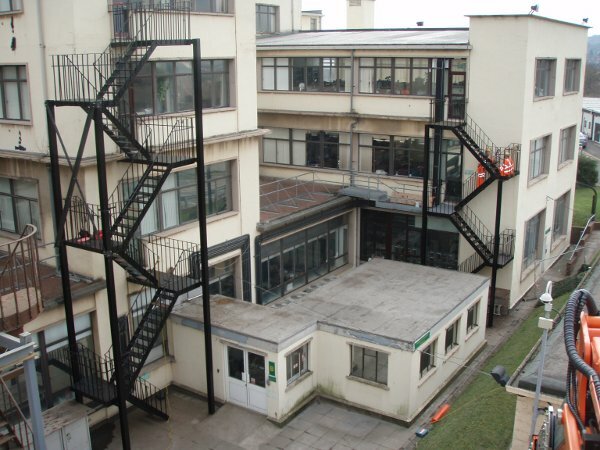 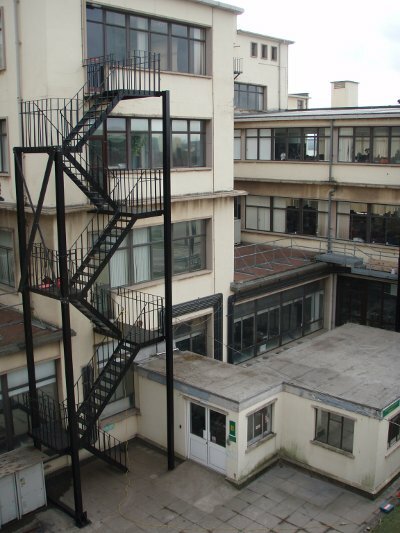 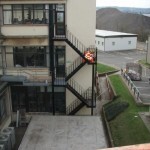 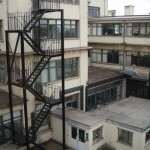 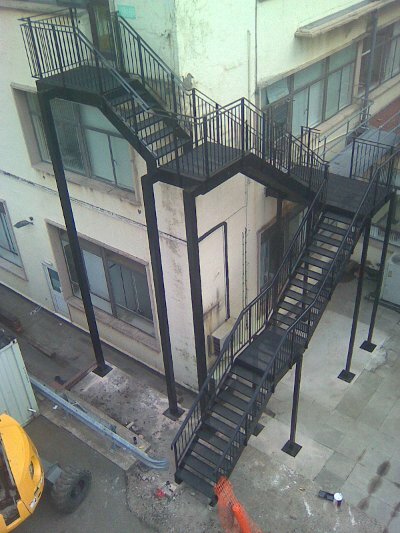 Details: Tarmac brought Morris Fabrications Ltd in to install a new staircase and also refurbish two fire escape stairs, bringing them inline with the latest building regulations. 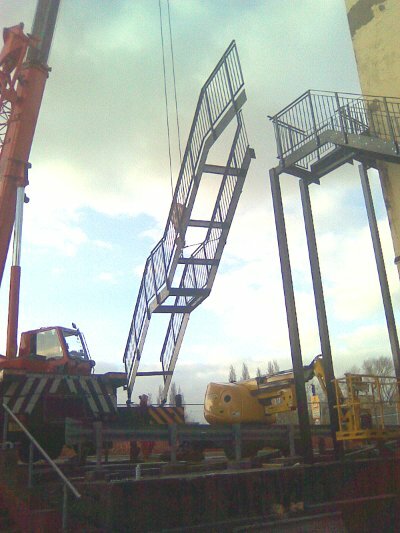 We were required to work to Approved Document K and M, as well as British Standard BS5395. 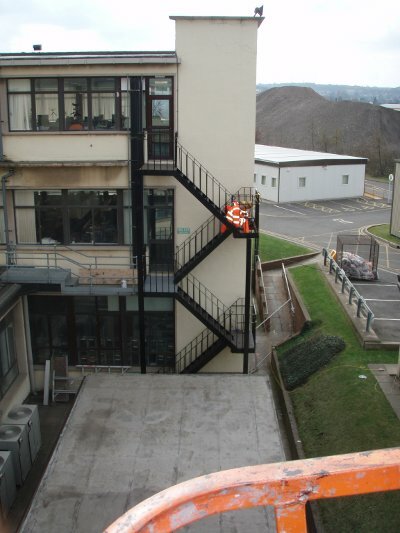 Due to the extent of the refurbishment, we were required to bring in and manage a specialist team to blast clean to SA2.5 and then repaint the stairs (zinc phosphate primers, enamel high-build finish). 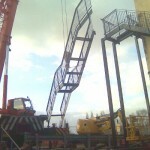 We were also required to bring in a Grove AT635 crane to lift the new staircase into place.